Although I’ve been cooking for many years, I have only recently learned one important lesson – don’t take any shortcuts, at least not with recipes from a highly knowledgeable source. When I made Julia Child’s Boeuf bourguignon for the first time a few months ago I put too much meat in the pot at once, with the result that it did not brown but foamed and bubbled like baking soda. The next time I made the dish, I stuck to the recipe and the meat was perfectly browned. If there was a shortcut, wouldn’t someone like Julia Child go for it? Only then did it dawn on me that it’s not a good idea trying to outsmart cooks who obviously know better than you. 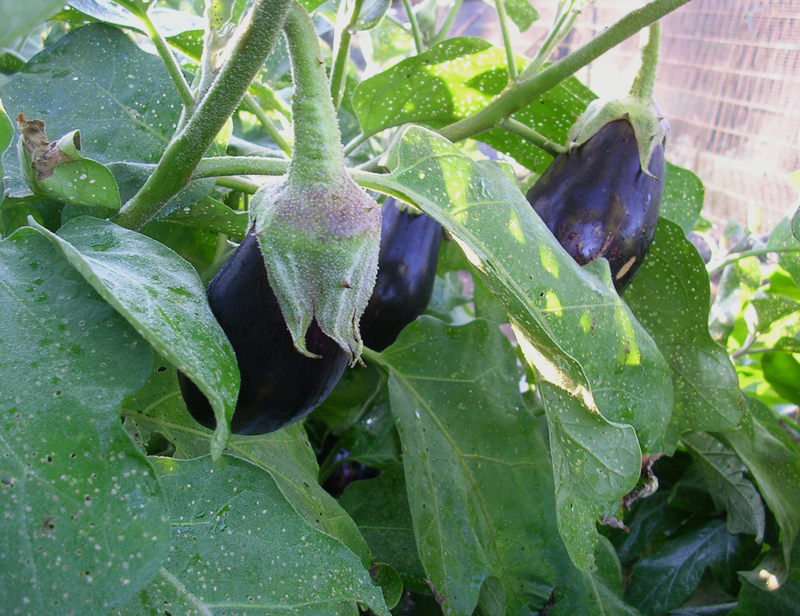 Another example for the no-shortcut rule is eggplant, which is growing abundantly in the garden right now. 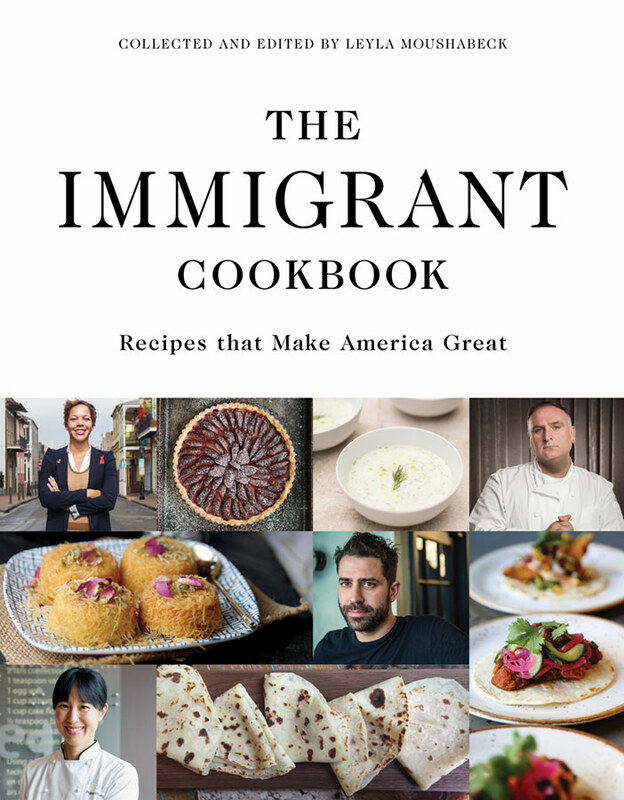 I have always wondered why the eggplant dishes I made had a bitter aftertaste, even when the eggplant was freshly picked. I am usually too rushed or too lazy to salt it and let it sit for 30 minutes or even 1 hour. It is surprising how much brownish liquid the eggplant releases, no wonder it’s bitter. And, the taste is indefinitely better, no matter what the eggplants are used for afterwards. Getting 3 pounds of eggplant ready for lasagna was quite a bit of work but I have promised myself that from now on if I don’t have the time to prepare the eggplant comme il faut, I rather cook something else. 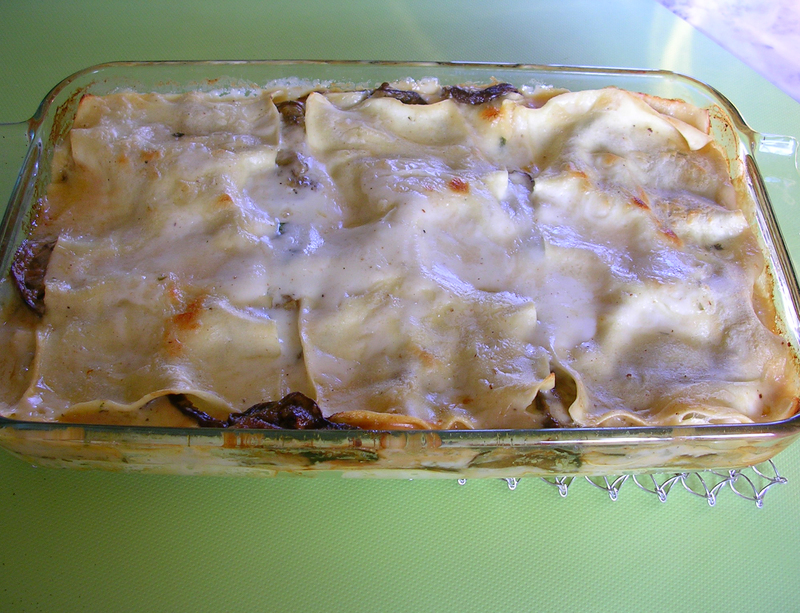 I started off with Deborah Madison’s eggplant lasagna with garlic béchamel from Vegetarian Cooking for Everyone. I had made it before and found it somehow lacked something. But instead of serving it with a tomato sauce as she suggests, I incorporated cherry tomatoes right into the lasagna, which I pre-cooked in olive oil and garlic. I also used a good amount of basil and increased the amount of béchamel because I find lasagna often too dry, especially if you prepare it in advance and reheat it. I was very happy with the result. My son, who would usually not eat eggplant, pointed to his empty plate saying that it “tasted and looked like meat, not like eggplant at all.” Amazing what salting and a little patience can do. 1. Peel the eggplant and cut into 1/3-inch slices. Spread the slices on two large baking sheets in a single layer and sprinkle with salt. Let stand for 30 minutes. 2. Heat 3 tablespoons olive oil in a small heavy pot. Add the garlic and cook until translucent. Add the tomatoes and stir. Cook uncovered over medium heat for about 15 minutes, or until the tomatoes are shriveled up a bit. Set aside to cool. 3. For the béchamel, smash the peeled garlic cloves. Put in a saucepan with the milk. Bring to a boil, then turn off the heat and let steep for 15 minutes. 4. When the garlic milk is ready, melt the butter in a saucepan. Add the flour and cook stirring for 2 minutes. Pour the garlic milk through a sieve into the saucepan. Stir well with a metal whisk until the sauce thickens. Add the bay leaf and the nutmeg and cook over very low heat for 20 minutes, stirring often and scraping over the bottom of the pan. 5. Preheat the oven to 425 degrees F.
6. Blot the eggplant slices dry with paper towels. Rinse and dry the baking sheets to remove any excess salt. 7. Brush each slice with olive oil from both sides and place slices in a single layer on the baking sheets. The eggplant should be baked one sheet at a time so if you have two ovens use them, or bake one batch after another in the preheated oven for 15 minutes. Turn the slices over and cook for 15 minutes from the other side. 8. Reduce the oven temperature to 400 degrees F.
9. Spray a lasagna dish (one that fits three sheets snugly without overlapping) with olive oil. 10. Remove the bay leaf from the béchamel sauce and whisk in the cream and the milk. Season with salt and pepper. If the béchamel seems lumpy, strain it through a sieve. 11. Spread ½ cup béchamel sauce over the bottom of the dish. Add 3 lasagna sheets. 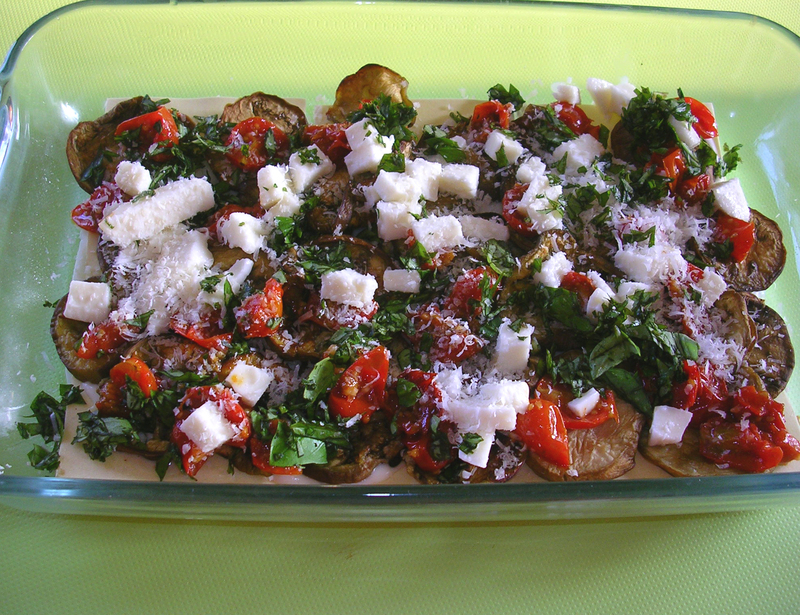 Cover with one-third of eggplant, tomatoes, basil, mozzarella, parmesan, and one-quarter of the remaining béchamel sauce. Repeat this with two more layers but omit the Parmesan in the last layer. Place the last lasagna sheets on top and add the remaining béchamel sauce. Sprinkle with the remaining parmesan. Press down a bit to immerse the lasagna sheets as much as possible but try not to break them. 12. Cover with aluminum foil and bake in the preheated oven for 25 minutes. Remove the foil and press down a bit to immerse top layer, especially if it’s a bit dry and curled up. 13. Bake for another 10 minutes. Remove from the oven and let stand for 10 minutes before serving. Thanks. The eggplant seedlings (cute Fairytale this year, first time) are just starting to pop up so I will surely make that lasagne again.